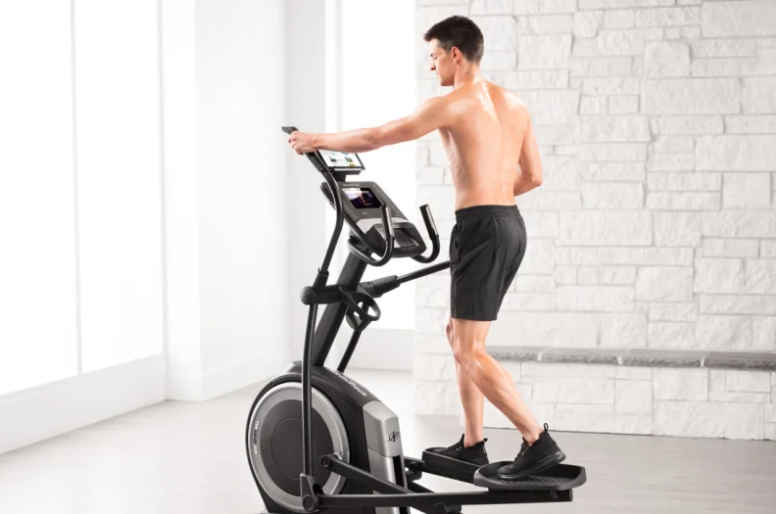 The NordicTrack C 12.9 Elliptical Machine has a 32-pound flywheel for stability, a 20-inch adjustable stride, and 26 different levels of resistance. It even has a 0 to 20 adjustable incline! Plus, it’s interface is super easy to use thanks to one-touch controls and a 7-inch touchscreen.